Recently returned from the tour that took him to five China cities, next November, 24 Pacho Flores begins a new tour in Israel with the Israel NK Orchestra under the baton of its Chief Conductor, Christian Lindberg, that will take him to the cities of Givat Brenner, Ein Hahoresh, Jordan Valley, Tel Aviv, Netanya, Neharya and Mizra, where finish on December, 2. 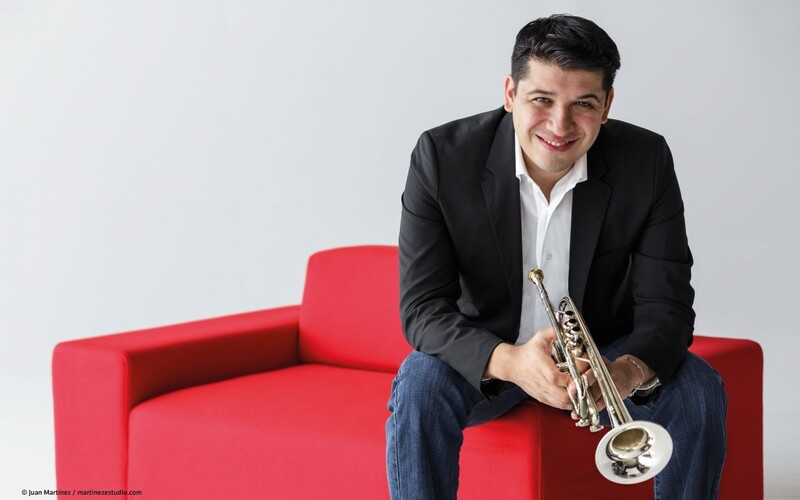 The program, titled “Breathtaking Virtuosity”, includes the Concert for two trumpets by Vivaldi, that Pacho shares with the orchestra soloist Guy Sarig, and Akban Bunka by the own Lindberg. But the cooperation between these two artists has a larger scope: Lindberg will conduct Pacho and the Arctic Philharmonic in the third recording of Pacho for Deutsche Grammophon. The recording will take place at the Stormen Konserthus, Norway, between April the 30 and May the 4, 2018. 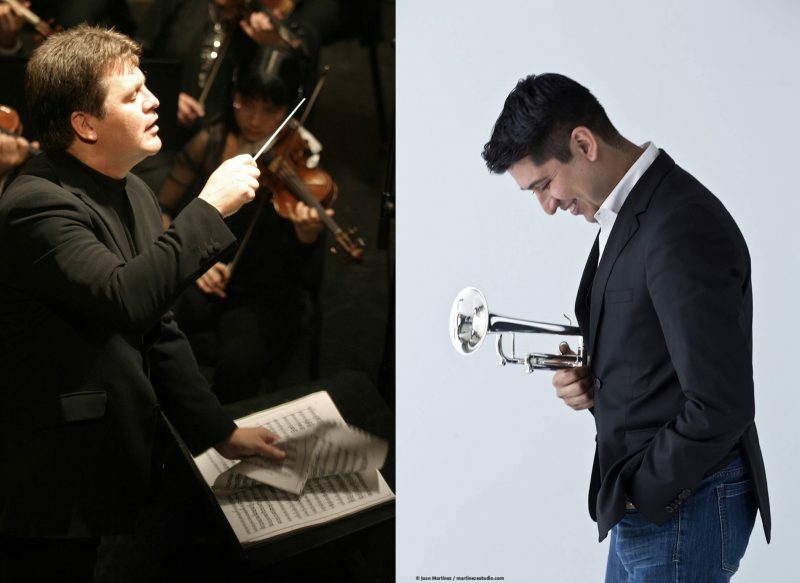 In November 2018 the same artists and orchestra will make a European Tour; and in 2019 Pacho will perform the absolute premiere of the new trumpet concerto that Lindberg is composing for him, with a Spanish orchestra and under own Lindberg conducting. Actually Lindberg tells that Pacho is the new star on the sky of brass. 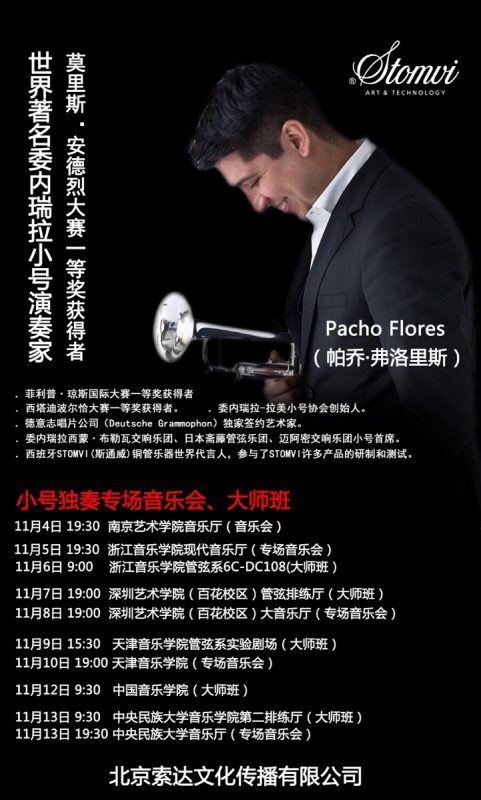 Between the most relevant commitments of Pacho for the near future, it stands out the shared commissions of new trumpet concertos dedicated to him to premier all around the world along the next seasons. First of all, Arturo Marquez’s, will be premiered between September 2018 and August 2019 in Mexico, USA, Japan and Spain. Next are Roberto Sierra and Paquito D’Rivera whose premieres will take place between 2018 and 2020. All of the three new concertos will be recorded together with Efraín Oscher‘s Mestizo, a concert premiered in 2010 by Pacho and performed more than two dozens of times since then. In the while Pacho will also premiere a work by himself, Cantos y Revueltas, inspired on work songs and traditional Venezuelan music, with the Real Filharmonía de Galicia under Manuel Hernández-Silva‘s baton the bext 11, 12 and 13 of January, 2018 in Santiago, Vigo and A Coruña; and a new concerto by Giancarlo Castro with the Ulster Orchestra and Rafael Payare on the 23 of Febrero, 2018.